March was another strange month for television. We had a lot of shows on hiatus, Community and Powers debuted on two outlets that were new to original programming (Yahoo! And Playstation Network, respectfully), and when our ongoing shows came back from their breaks, many had shaky returns. With that said, I knew which five shows deserved to make the list—sorry, Arrow—but I had a difficult time determining the order. Heck, I might change the order while I write this. 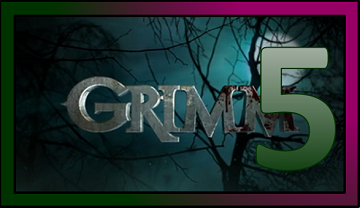 Grimm, playing keep away from Arrow, maintained its top five status, from last month. I still can’t get on board with some of the weekly Wesen this month, but the ongoing story arcs have held my attention—for the most part. We’ll see what happens in April. 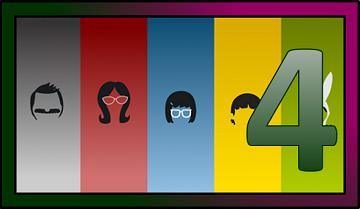 Any of these next four could’ve been my number one, but I’m going with Bob’s Burgers at the four spot for three reasons. 1) I believe it’ll rise again. 2) It had a strong first two weeks of March and then waned. 3) It went on yet another break—ugh. 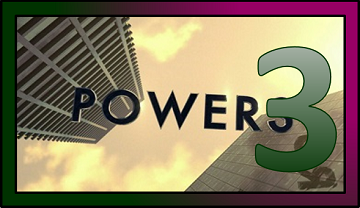 Powers started off slowly but picked up steam after its third episode. It also suffered from poor acting chemistry and overcame that by rarely putting the struggling actors together in scenes. I’ve never seen a show deploy such a tactic, but it works. I also worry about how the show plans to move forward, now that their big baddy’s locked up again, but Powers had a strong March and it would have been higher had they not had so many poor episodes in the early going. I didn’t know where to place Archer and it lands on our two spot because I caught up with the series this month. 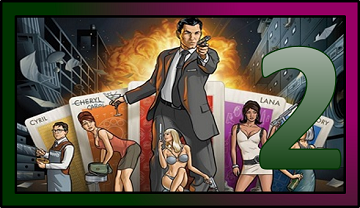 Archer’s season as a whole has been great and deserves to claim the top spot, but its March fell a couple of notches. Still, Sterling, Lana, and the gang delivered enough laughs to almost take top honors. 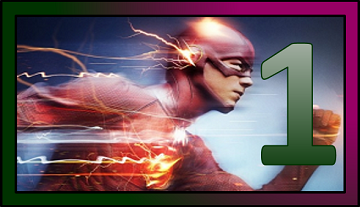 It’s been a long time coming, but The Flash finally tops our list. The Flash has had a stellar first season, but it fell victim to the Ides of March. It had a lot of fireworks, but most of those grandstanding moments didn’t amount to much. The tension got ratcheted to a hundred, and then dialed back, and then amped again, but all we’re left with is the Barry-Iris love disconnect, which I don’t care for, and Barry turning on Harrison Wells. Despite these shortcomings, The Flash had a couple of dynamite episodes in March and those propelled it to number one.